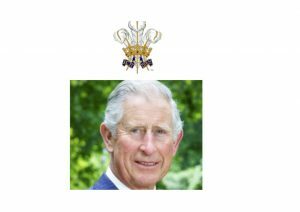 Prince Charles’ 3-feather logo(above), is said to date back to the Black Prince, but few royal princes have lived the meaning of its words: “Ich Dien” (I serve) as enthusiastically as the current Prince of Wales. In many ways, his Prince’s Trust, founded in 1976, is the parent to all modern youth job creation initiatives. Therefore, we are proud to quote here a short extract of a recent speech he gave which makes a powerful case for urgent action on youth employment. Invest in Futures and Enterprise Business Start-up are both programmes of the Prince’s Trust. Prince Charles is clearly, and rightly, proud of the achievements of both of them. Invest in Futures now has a whole host of Job Ambassadors now, who go into the dark, difficult corners of this country trying to reach the hardest to reach people who disappear off all the radars. Their job is to encourage them to come to the Trust so that we can help them even further. People like Duane Jackson, who is, I think, the most fantastic and classic example of what the Trust’s Enterprise Business Start-up programme can do. Duane really does represent the “virtuous circle” I always hoped to create all those years ago by investing in these young people’s futures. Duane grew up in a children’s home. He left school without any qualifications, he ended up for one reason or another in prison but, when he came out, with the help of my Trust, he set up a software business which he has now sold for tens of millions of pounds and, immediately, he gave £100,000 to my Trust to help other young people. I was reminded of Duane yesterday when I was in Tottenham: I met Gina Moffatt, who was sent to Holloway Prison for drug offences and, on release, turned to my Trust for help in setting up her own business. Several years on, Gina now has ten full-time employees in her café-restaurant, which I visited in Tottenham. She has another one somewhere else and is about to open one in Chelsea, if she can. She has now come back as a Job Ambassador, helping other young people in her local area to find the necessary skills and then jobs. So you can imagine what an enormous encouragement that gives me to see the difference they can make, not only to themselves but to us. What my Trust is also doing is investing in skills because I think the key in all of this is enabling young people to have their latent talent and vocational skills developed. All this has been abandoned and forgotten in so many ways and yet I know from talking to the Royal Academy of Engineering, for instance, that there is a need for 69,000 Level 3 engineering apprentices every year for the next ten years and all that can be produced at the moment is 27,000: you can imagine what a difference just in the engineering sector that could make if the act could be got together. So I’ve been trying to organise workshops with teachers and engineering firms in order to try and find a way through this particular issue, because there are so many people out there who think that engineering is dirty, greasy and filthy and manufacturing is dead and gone. In fact it is very far from the case. So what my Trust can help do with others is to revive and resuscitate the skills that are necessary and much needed all over the country to resuscitate our manufacturing sector and other parts of the economy. I hope you feel pleased as I am by some of the most marvellously inspiring stories from the young people who have been through The Trust’s programmes and come out the other end with their confidence restored and their self-esteem restored. And this, as you may realise is really what The Trust has been trying to specialise in for the last 42 years because there are so many young people out there who have no self-confidence and self-esteem but when we can help to provide that for them through, particularly these team programmes when everybody has to depend on somebody else, it is remarkable what a difference it can make to their lives. Suddenly they discover they have interest they can pursue, go to college or become an apprentice. We need to be willing to listen to these young people talk about their experiences as it does, I think, help to generate greater awareness of the support we need to generate to help the next generation. Many of the young people we come across have faced the most extraordinary hurdles, challenges and obstacles in their lives. Whether they face the mental health issues that are so prevalent today or homelessness, abuse, bullying of various kinds or indeed imprisonment, they have all shown that, with courage and determination, they can overcome those issues and ultimately take more control of their lives through joining The Trust’s programmes. Over the last 42 years we have helped more than 870,000 young people ( – I can never understand why it isn’t over a million yet, but you can’t count people twice because they come back on different programmes!) Obviously a lot has changed over the years, in particularly the impact of technology and changes in the labour market which can be seen everywhere. Many of these changes have been positive of course, but at The Prince’s Trust we have become increasingly concerned about young people’s confidence and sense of self-worth. My Trust released its 9th youth index report just two weeks ago and it shows that young people’s happiness and confidence are at the lowest levels since the study began. Which is alarming. In the worst cases a fundamental lack of confidence can hold young people back from even starting or progressing in our programmes, so it was vital that we could respond in some way to this. Having started Invest in Futures in 2005 I was so thrilled to hear in that time up to now it has raised over 21 million pounds. L’Oréal Paris’s sponsorship of Invest in Futures marks now the first anniversary of a three year collaborative partnership. This partnership has enabled the delivery of the new All Worth It confidence-training programme to run across all 18 of The Prince’s Trust centres. It will also be available digitally via The Trust’s online learning platform. Yes we have one! Very exciting! Whatever barriers young people face, The Prince’s Trust will support them. So, ladies and gentlemen, by working together we can help so many more young people turn their lives around. Thank you all enormously, thank you! Thank you, your Royal Highness, for choosing the issue of Youth Employment to champion!